Recognition of the importance of skin exposure in industrial settings has steadily increased over the last few decades.  Unfortunately, the growing attention to dermal exposure in industrial hygiene has often not been reflected in the field of occupational epidemiology. An extensive literature survey was conducted to identify dermal exposure assessment methods that have been applied in epidemiologic studies. Subsequently, methodologies are postulated that could be applied to epidemiologic research. Attention is given to intensity, frequency, and duration of exposure, the exposed surface area, and personal, temporal and spatial variability in dermal exposure and uptake. It is anticipated that, in the near future, dermal exposure assessment in epidemiologic research will be based generally on expert judgment and to some degree on process-specific exposure models. Field studies collecting quantitative dermal exposure data and statistical modeling to identify exposure determinants will, however, be imperative if progress is to be made in the field of dermal exposure assessment for epidemiologic purposes.